Why would a bright and promising cardiologist be fired from the University hospital that she had practiced at since 2000? Apparently, protecting her patients is grounds for dismissal. At least, that is the case at Northwestern University in Illinois. 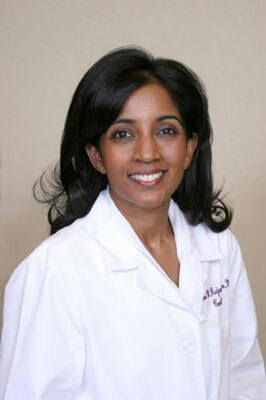 Despite being promoted to Valve Director in 2006, Dr. Nalini M. Rajamannan (below image) was terminated in 2008 after reporting the use of non-FDA approved, experimental medical devices being implanted in patients without their knowledge. 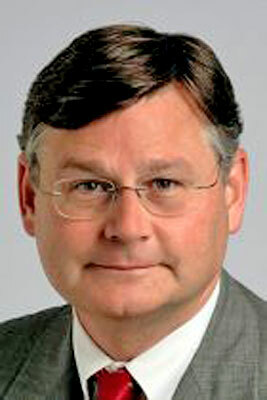 The doctor conducting these human experiments, Dr. Patrick McCarthy (below image), was testing his own inventions, an IMR annuloplasty device and a Myxo annuloplasty device manufactured by Edwards Lifescience. These devices had not been approved by the FDA and even now, many patients have no idea that they have these experimental devices in their bodies. Dr. Rajamannan first discovered this deception in July 2007 when one of her patients, Antonitsa Vlahoulis, required a second surgery to replace the Myxo annuloplasty device less than a year after it was implanted. Ms. Vlahoulis questioned why the device she had was not the one listed on her pre-op brochure. “When I had my consult with Dr. McCarthy, he told me that I had severe Mitral valve prolapse. He said with the severity of my valve, he would most likely have to replace the valve with a pig valve or prosthetic. “He told me I would feel like a new person immediately after my surgery. I knew as soon as I woke up from the surgery that I was in trouble. I did not feel like a new person. My breathing felt a lot worse. I had a lot of complications only to find out he had implanted a device he had just invented and start implanting in patients one month before me. Ms. Vlahoulis said that by the time she had the device removed, the experimental ring had caused stenosis. She also needed her tricuspid valve repaired and now has a permanent pacemaker. She says she continues to have shortness of breath upon exertion as well as other heart issues. Dr. Rajamannan informed Chief of Cardiology Dr. Robert Bonow, The Dean of Medical School Dean Jameson, the Institutional Review Board and the NMFF general counsel that there was a human clinical trial testing experimental devices without informed consent in July 2007. Her report fell on deaf ears, as the University backed Dr. McCarthy (above image) and informed Dr. Rajamannan that she would no longer be seeing McCarthy’s patients. To make matters worse, Dr. Rajamannan discovered evidence that negative outcomes of the experimental trials were not reported in the process obtaining safety approval for Dr. McCarthy’s inventions. One patient, Ms. Maureen Obermeier, had a heart attack during surgery, and the event wasn’t reported until five years later. 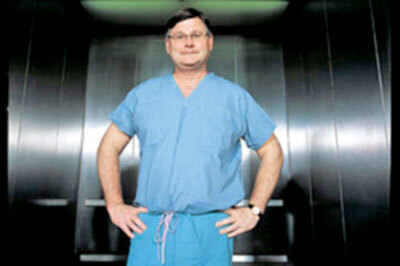 Dr. McCarthy had previously stated that no one had suffered a heart attack. Sadly, this isn’t the only case of safety issues relating to the experimental devices. “I am trying to get the FDA and Congress to open a Congressional investigation to discuss the fact that the company and the surgeons did not provide the outcomes to the FDA until recently. Sadly, this isn’t the only case of human experimentation by Dr. McCarthy (below image). According to Dr. Rajamannan, Dr. McCarthy has conducted at least four other human experiments, two at Northwestern and two at Cleveland Clinic. In the case of one of these experiments, Atricure Inc. was ordered to pay $3.76 million in civil claims for its promotion of surgical ablation devices that were not FDA approved. What would motivate doctors, who make the oath to do no harm, to play the part of a mad scientist and actually conduct secret experiments on human beings? Simply stated, the motivator is money. Doctors receive royalties for medical devices that are tested and approved. The added ego boost of being published in prestigious medical journals may make doctors forget that their first loyalty should be the well-being of their patients and not their bank accounts. So while Dr. McCarthy continues to practice medicine on unsuspecting patients, apparently with an encouraging pat on the back from Northwestern, Dr. Nalini Rajamannan continues to fight for her patients and their right to know what was done to them. Top Secret Writers wish Dr. Rajamannan the best of luck. Note: Top Secret Writers contacted Dr. McCarthy for his side of the story. He declined to comment.